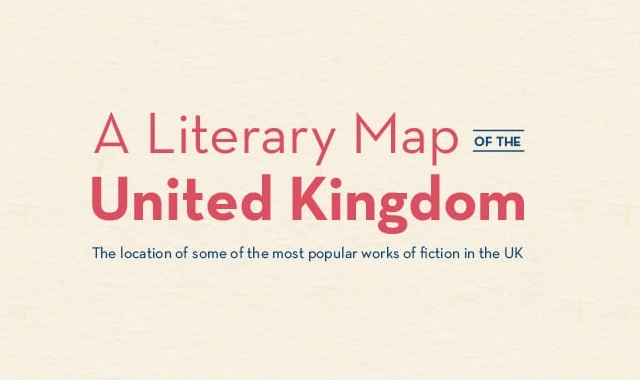 A Literary Map of the United Kingdom #infographic ~ Visualistan '+g+"
The United Kingdom overflows with stories – stories that animate the land, which animates the stories right back. 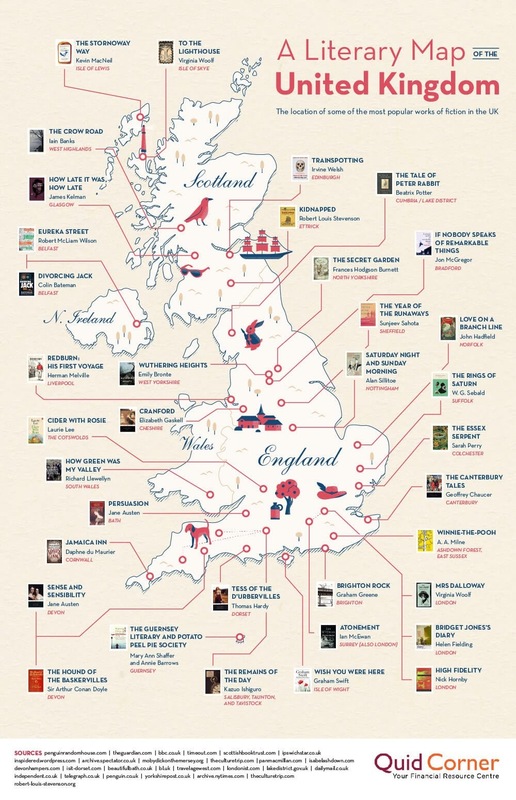 Quickquid's map plots some of the UK’s memorable literary works in the locations that inspired them. As maps go, it may not do your navigation much good – but it’ll do wonders for your imagination. Now, we wouldn’t normally discourage reading but – just this once – how about getting your nose out of that book and chasing your literary kicks out on the road?